A Present For My Grandpa. 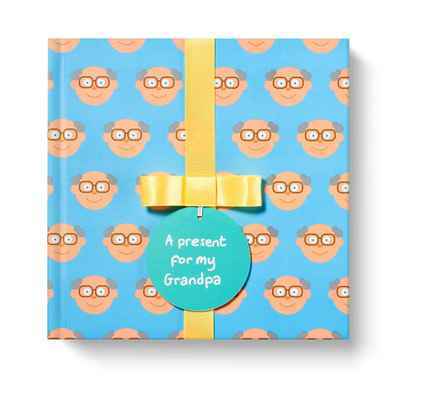 A gift given from a young child to their Grandpa to celebrate an occasion like a birthday, Christmas, Father's Day and more. A 12 page board book that tells the story of all the things they considered getting him — at the back is a gift box with a gorgeous pair of socks for their Grandpa to keep. The size is 19cm x 19cm. The sock size is UK 7-11 Mens.